Facebook today released an update to its Instagram photo and video sharing app that fundamentally changed the way that users interact with posts. Then, it performed an almost immediate 360 and reverted back to the original methods of interaction. The unexpected update immediately and fundamentally changed the way that a user would interact with content via Instagram, ensuring that any posts are scrolled horizontally rather than vertically. Rather than scrolling up and down through all of the photographs and videos that have been posted on your timeline, the update changed that interaction mechanism to a horizontal action. 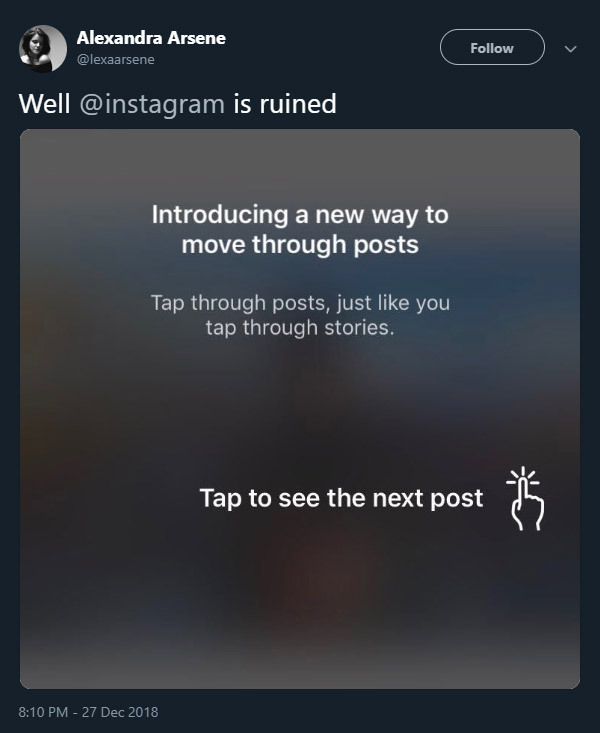 It also introduced a tap gesture that allowed users to scroll through their content with a single tap, similar to how Instagram Stories work. In a similar fashion to when Snap Inc. pushed out a Snapchat update that overhauled the user interface, the internet went wild with disgust over Facebook’s Instagram update, with some people even going as far as to proclaim that Instagram is “ruined.” At the time of the update, there didn’t appear to be any way of changing the interaction back to the original method, meaning that users were essentially stuck with the change. Now, the update has been reverted and everything appears to be back to how it originally was for all users, save for a few chosen ones around the world who find themselves part of Facebook’s continuous A-B testing groups. Facebook has subsequently gone on record to say that the update wasn’t meant to be rolled out globally to all Instagram users. It was, in fact, meant to be a very small and controlled A-B testing scenario, which would allow the company to test the new design and interactions with a very small subset of users before deciding whether or not it was the right change to make. Given the reaction to the update, it’s probably fair to suggest that the Instagram-faithful won’t be particularly enthused if the company does decide to go ahead with this change at scale. 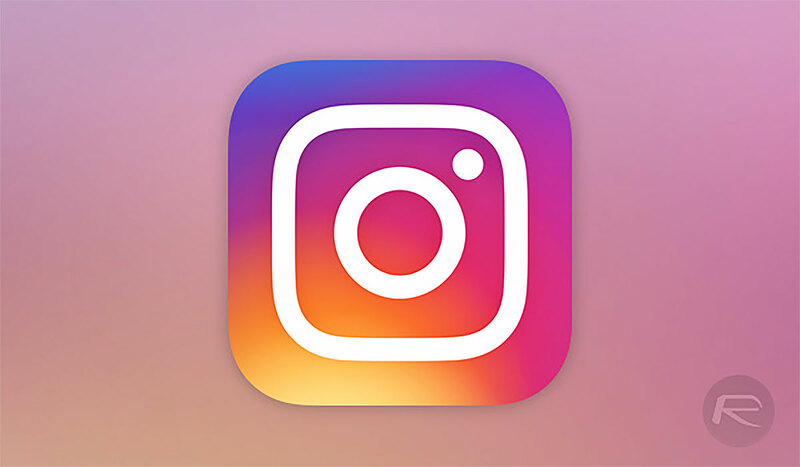 Were you one of the fortunate/unfortunate users who managed to be using Instagram when the change took place? If so, is it a change that you would like to see permanently? That was so retarded, it was stupid.